A dynamic work environment makes many employees realize that it is healthier if there is movement in the office. In many cases, the average employee spends long hours in front of their desk. Even with ergonomic chairs and tables, employees still spend more time sitting down. In the modern office, sitting at their designated workplace is no longer the norm. Today, there are offices where employees are allowed to choose the area that is suitable to the task they are working on. These are dynamic offices where flexible room solutions are provided. The office spaces have various features that not only provide health benefits to the employees but also provide plenty of inspiration each day. There is a zone where employees can freely interact and meet and zones that provide privacy, allowing employees to concentrate. There are also zones where the setup is more conventional. This type of dynamic work environment encourages movement of body and mind. Creating a dynamic work environment seems easier said than done. It’s an ideal work environment. Right now many more offices are boring, management still opts to have a close door policy, open communication is non-existent and great and creative ideas are not allowed to flourish. But building a dynamic work environment looks like a better choice to harness the talents and skills of your workforce. If you are thinking of creating a good office environment, here are some ideas. One of the things that prevent open communication is the barrier presented by the walls of executive offices and employee cubicles. If you have a small business, it can be beneficial to remove walls that create hierarchy in the office. Your working relationship would be closer if you are working together, sharing ideas and working on solutions in a space that has no internal walls. However, as mentioned earlier, it is important to have spaces where employees can also work uninterrupted when needed. This means spending a bit to rearrange the office to provide different zones for different needs such as higher tables for staff who prefer to stand while using the computer. You have to maintain balance. Skills, talent and creativity are not exclusive to a single group. Every person, regardless of their ethnicity, has an innate set of skills and talents that can be harnessed by a company. Their cultural backgrounds could provide a different way of looking at things that could prove beneficial. Knowing the strengths and weaknesses of the members of your team will allow you to have a more dynamic work environment. 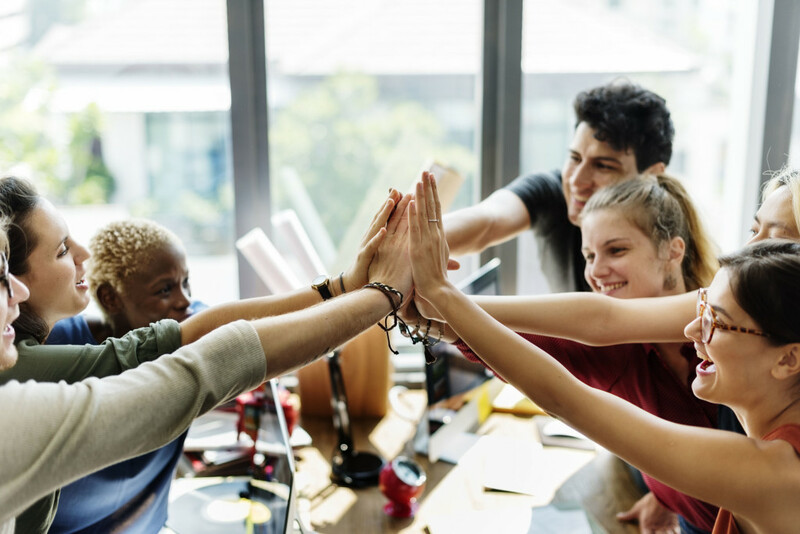 Providing a support system for all employees can be difficult but if you explain your intention to your team members and show them that you care for their welfare, it would be easier to achieve. Modern offices do more for their employees. Owners want to retain talents and one way to ensure this is to provide a workplace where employees want to come to each workweek. Understand that employees are always under pressure due to management expectations to meet deadlines and goals. Creating a social club allows them to have fun and unwind. You can also allocate an area in your office as a chill-out space, a place where individuals can spend some time just to get away from the pressure of preparing reports and meeting deadlines. Management can introduce workplace perks such as gym memberships. You can offer fitness packages such as circuit training, boxing and yoga. There are offices today where birthdays of staff members are celebrated by the company. It does not have to be grand. A beautifully decorated cupcake with a candle and some balloons can make the occasion more festive. It is a simple gesture that delivers a powerful message – that the employee is a valuable member of the team. You can also have unannounced celebrations to mark your company’s little wins. Creating situations where team members can bond together and share in the fun, planned or spontaneous, are helpful to the company. Team loyalty increases, which means the retention rates improve and productivity levels rise. In an office culture where management shows appreciation for its staff, the employees feel happier. The company’s reputation improves. It could lead to a constant flow of talents wanting to join your company. Depending on the sensitivity of the positions held by employees, job rotation helps in preventing low productivity, stagnation, coasting and boredom. When you have stagnant staff, chances are they would be resistant to innovation and change. They would build networks to create roadblocks. To protect their status quo, they often resort to manipulation and gossip. Job rotation is a policy that some big companies such as McDonald’s and IBM practice. This is done at intervals, particularly when a company needs to tighten its belt. Rather than remove new employees, it is a good move to have lateral movement in order to retain them. It could be challenging but if the employees are aware of the policy right from the beginning, this is worth exploring. Rotating jobs help in motivating employees who have become stagnant. You will also have a pool of employees who are cross-trained, thus you’ll not have a headache if an employee suddenly decides to leave. Job rotation improves creativity, provides opportunities to learn new skills, teaches other employees and reduces burnout. It is also one way to develop new organization leaders and fast track the learning of employees with higher potential. There are more ways to build a dynamic work environment depending on your office space, your budget and your company’s goals. For example you can move into an office space with a built in gym. This would provide a place for your employees to work out even if they have a deadline to meet, as they do not have to leave the office and rush off to the gym. The management’s commitment to provide the tools necessary to improve productivity, harness creativity and skills, increase employee retention, boost communication and make employees appreciate their workplace are what matter.